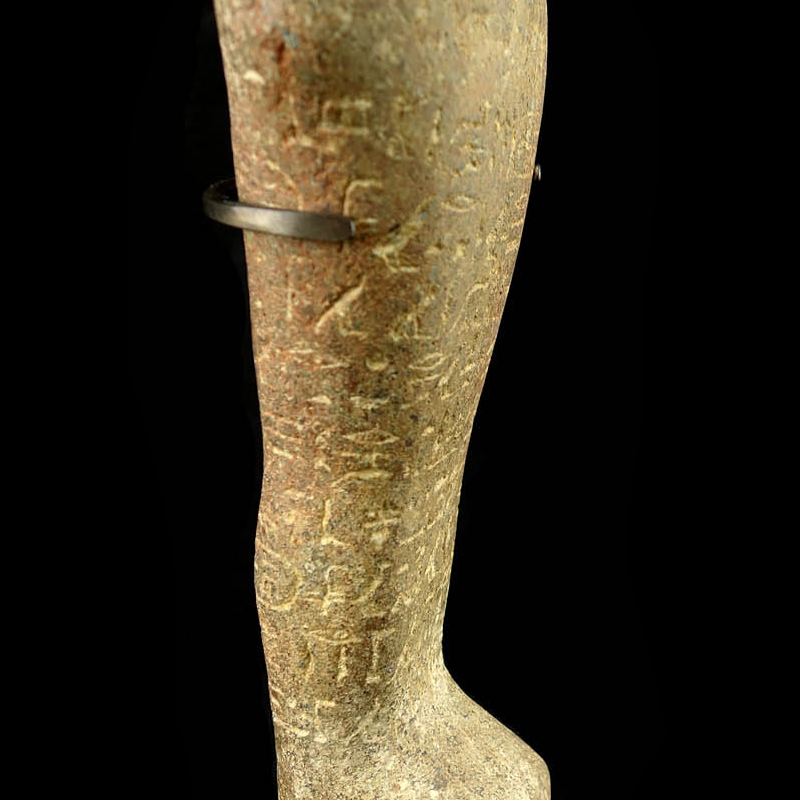 An important royal Shabti for the Nubian King Taharqa. 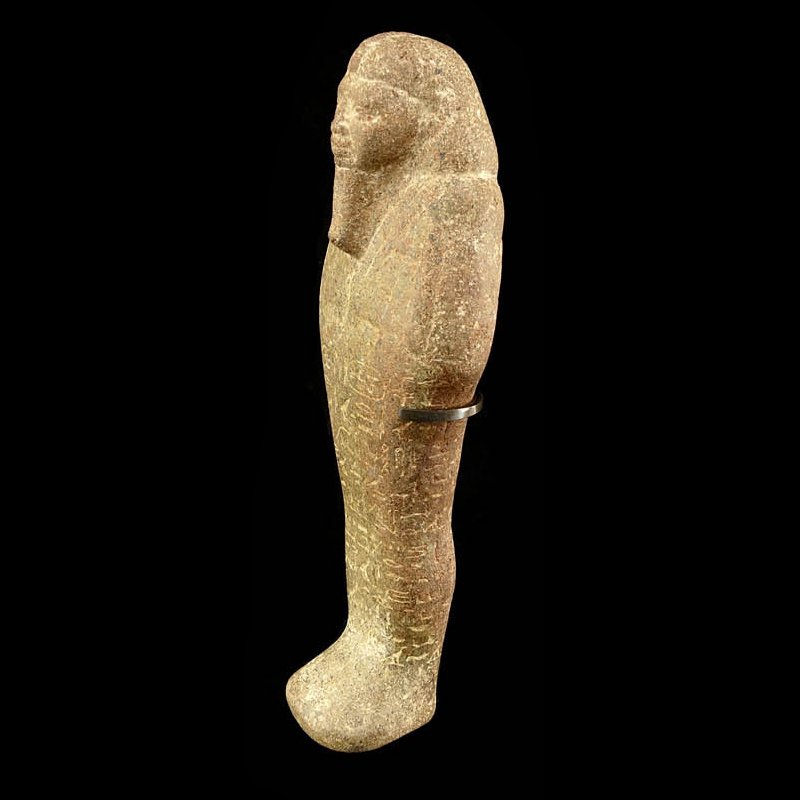 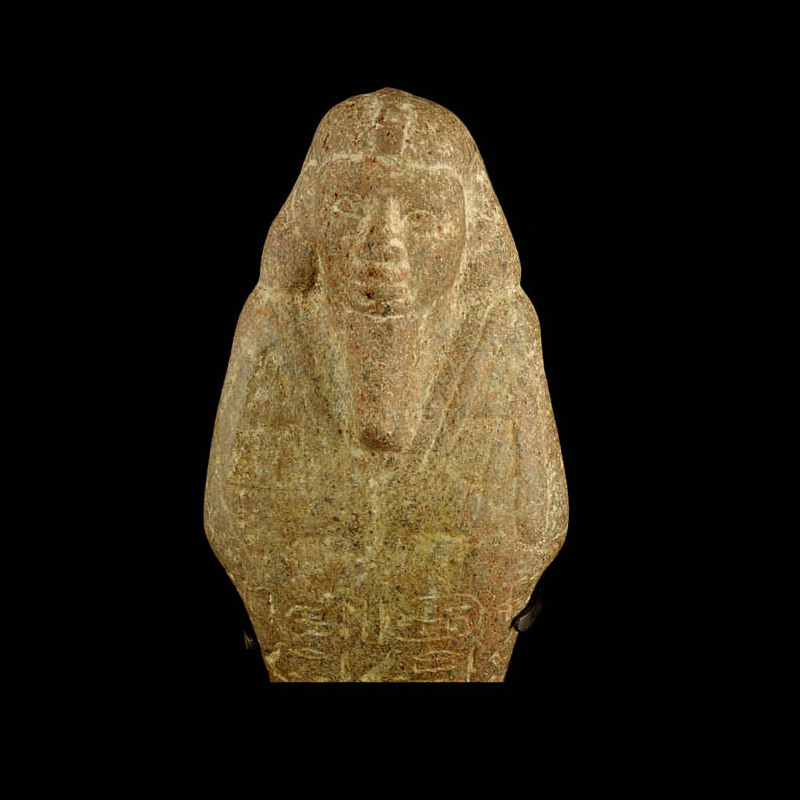 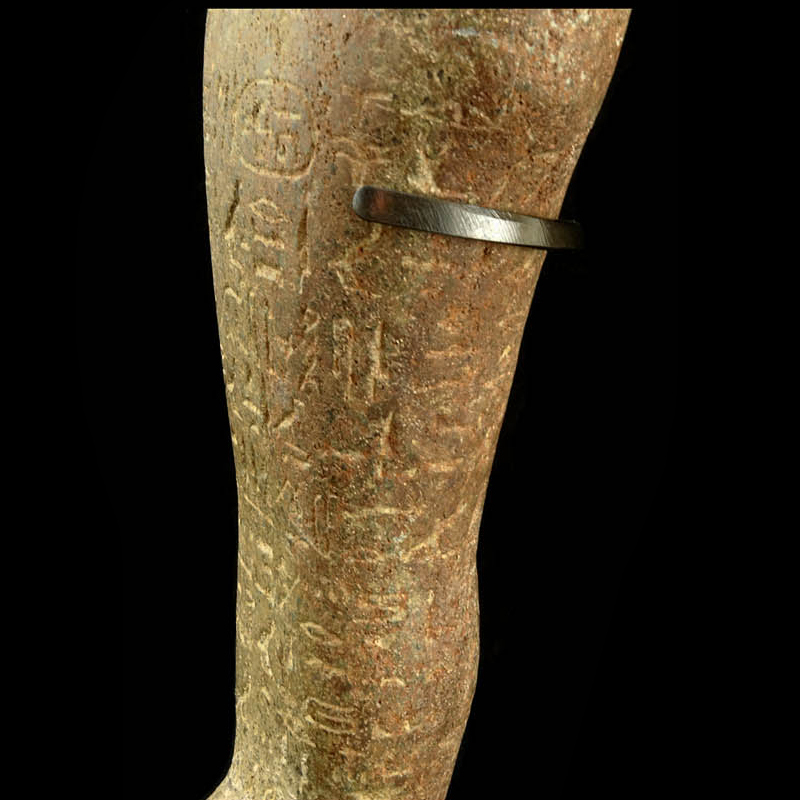 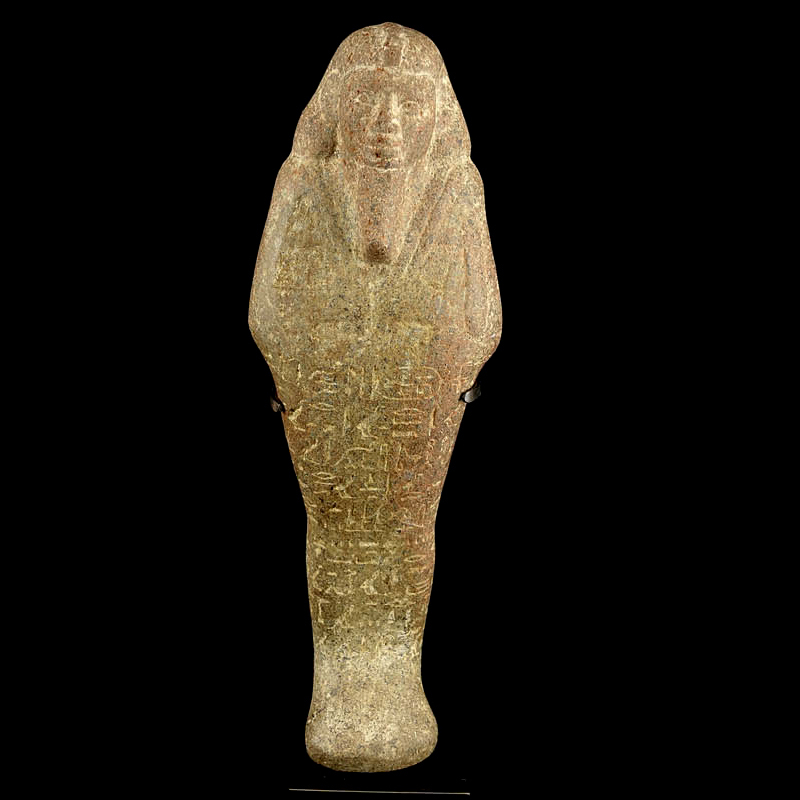 An important royal Shabti for the Sudanese King Taharqa. 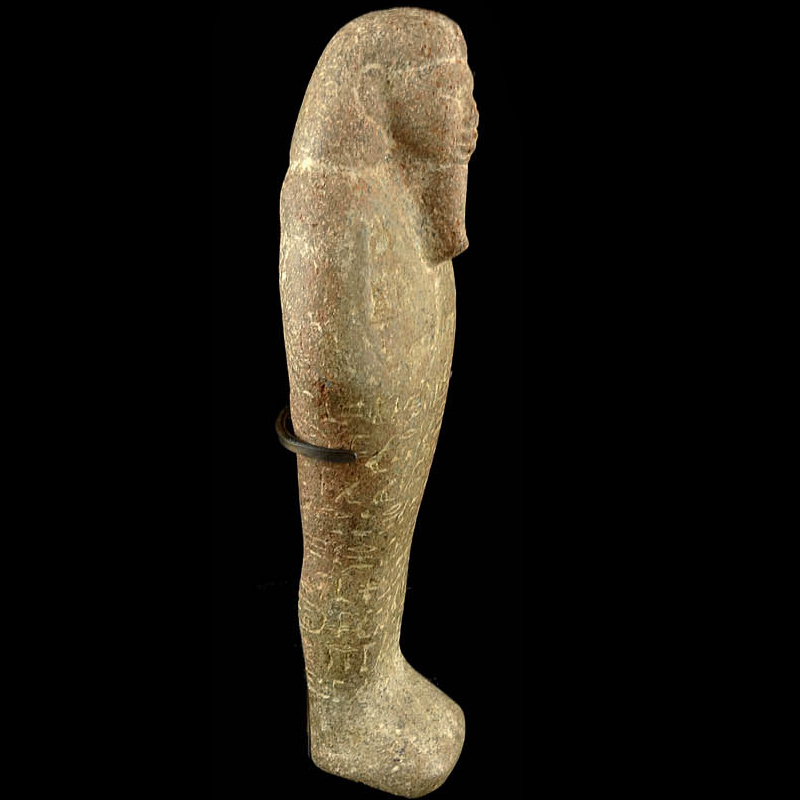 Beautifully carved from red quartzite, with a Nubian tessellated wig with Uraeus on the front and elongated conical beard. 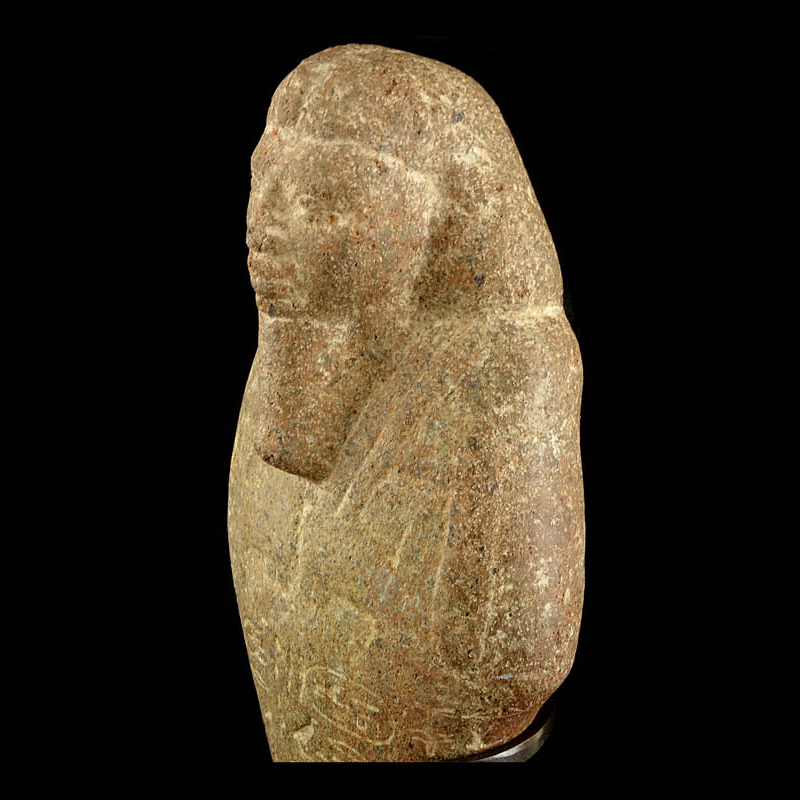 The face with the broad nose and generous lips associated with Nubian figures from this period. 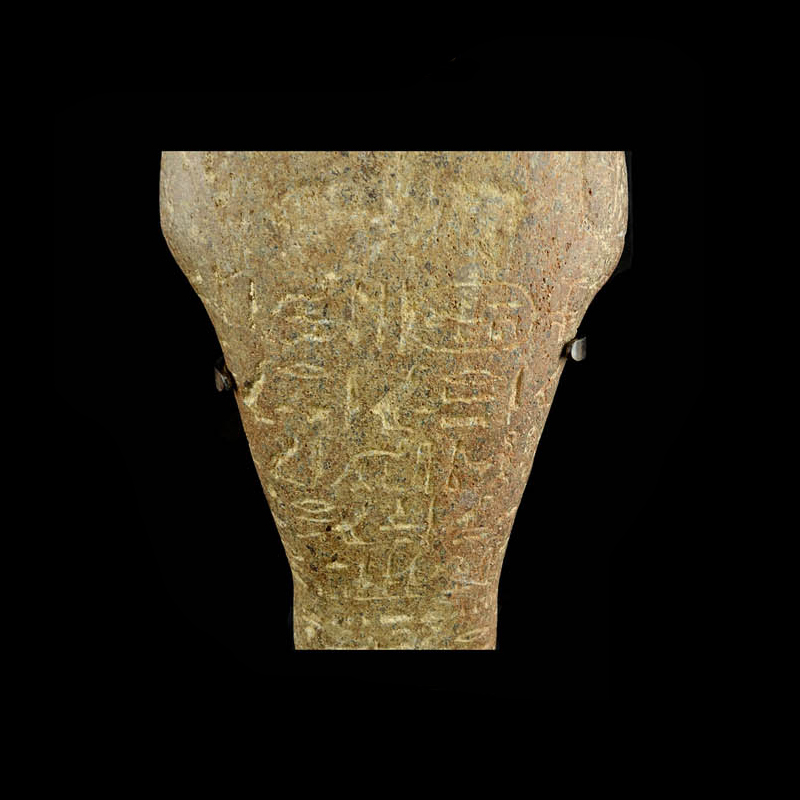 The front surface of the figure is inscribed with lines of hieroglyphic texts. 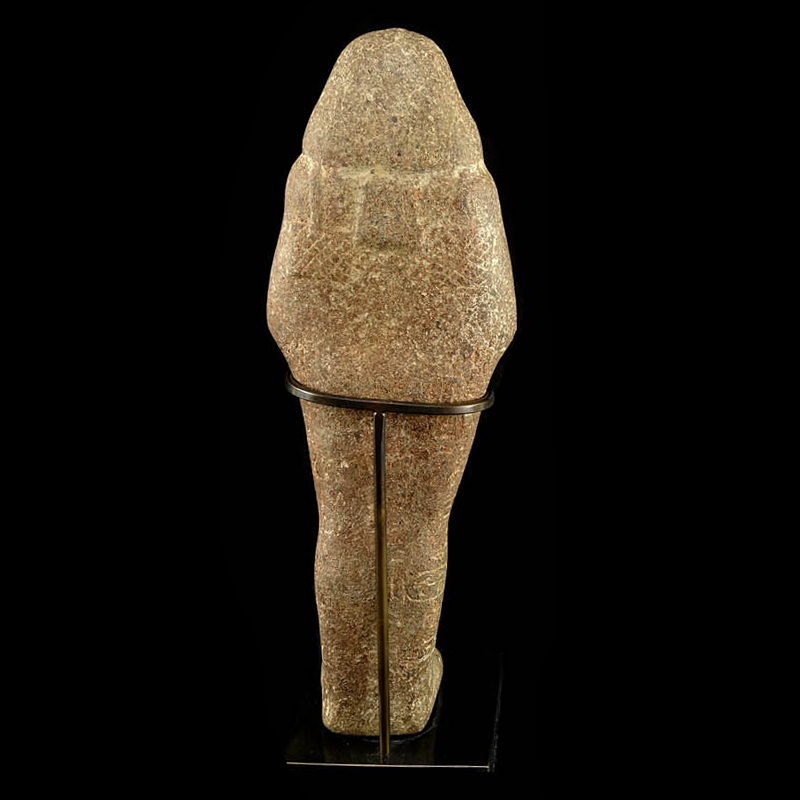 Ex N. Paschalis (1914 - 1948) Collection, Greece, thence by descent to the present owner.